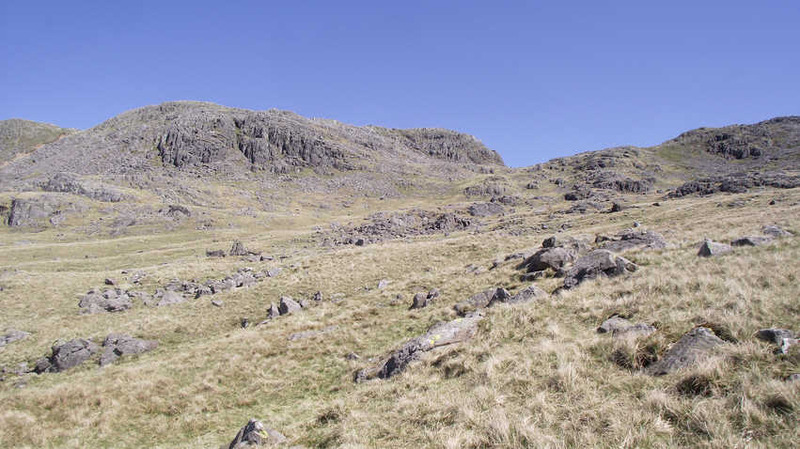 A view across Adam-a-Cove to the summit of Crinkle Crags. This picture was taken from a point close to the top of Swinsty Gill. To reach the summit from here head for the lowest point on the skyline, where you will find the main path. From there either take the nasty climb up the 'bad step' or take the easy alternative on the slope almost in the exact centre of this picture.